Friendly staff, lovely clean apartment,regular fresh towels a really relaxing holiday. Excellent location 5 minutes walk to the beach and nearest supermarket. Good location, easy to park, several pools and green areas. Restaurant has baby chairs and the baby cots available for the rooms. Very kids/family friendly hotel with very friendly staff. We did not have breakfast. The shop on-site was very useful. The safe deposit box facility was also useful. Some of the grounds were very pleasant. The pool view was wonderful, the room was spacious and the cleaning was perfect. We loved having our own breakfast on the balcony admiring the pool. The apartment was clean and comfortable with very efficient air-conditioning. We didn't use the restaurant so can't comment on that. On-site supermarket was small but reasonably priced. Pool was great. Bahia is at the quieter end of Port d'Pollenca but is easily walkable to the beach (4mins) and centre of town (15-20mins stroll). Weigh this up with with not as much choice of restaurants/bars/shops nearer Bahia. A choice of 3 pools to suit any age (4th pool is exclusive to ground floor west wing guests and is more for cooling off than play). 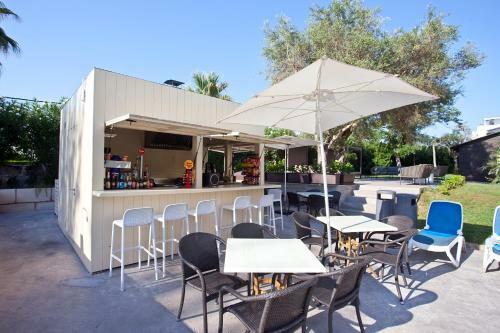 Poolside bar/snack shack is reasonably priced but I only used it once as we were out most days. Staff were helpful and seemed to be keen that everyone enjoys their stay. The entertainment was funny. Lock in a great price for Aparthotel Bahia Pollensa – rated 8.3 by recent guests! 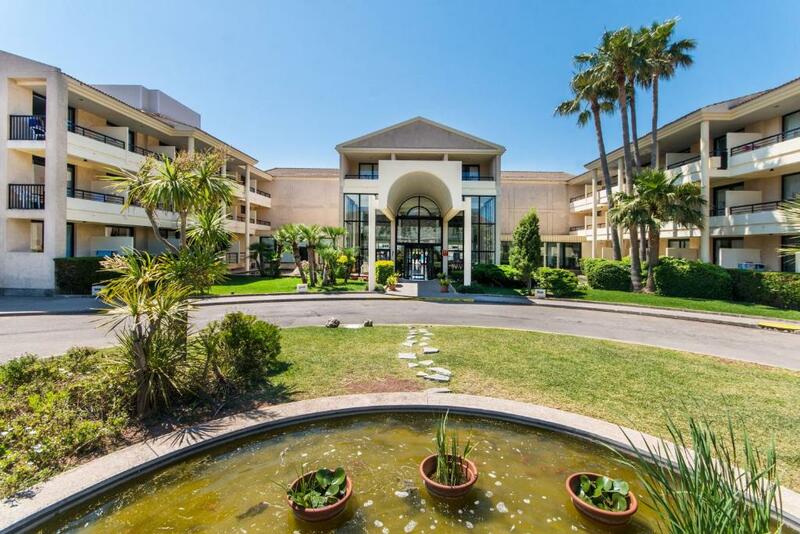 Aparthotel Bahia Pollensa This rating is a reflection of how the property compares to the industry standard when it comes to price, facilities and services available. It's based on a self-evaluation by the property. Use this rating to help choose your stay! One of our top picks in Port de Pollensa.These excellently-equipped apartments in northern Mallorca are housed in a modern complex which boasts a large outdoor pool and sun terrace, and a convenient on site grocery store. 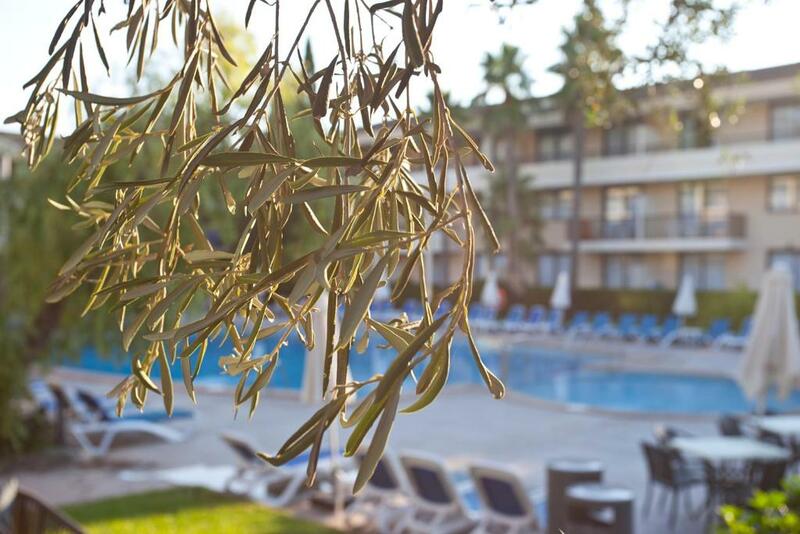 The Bahía Pollensa’s fully air-conditioned accommodation is surrounded by pretty grounds – perfect for a relaxing break. Apartments are stylish and bright, with a private balcony where you can enjoy a coffee in the morning. Spend the day relaxing by the Bahía Pollensa’s lovely outdoor pool, where you can have a drink and a snack on the terrace. You can also have fun with your children at the playground, or with a game of ping pong or pool. 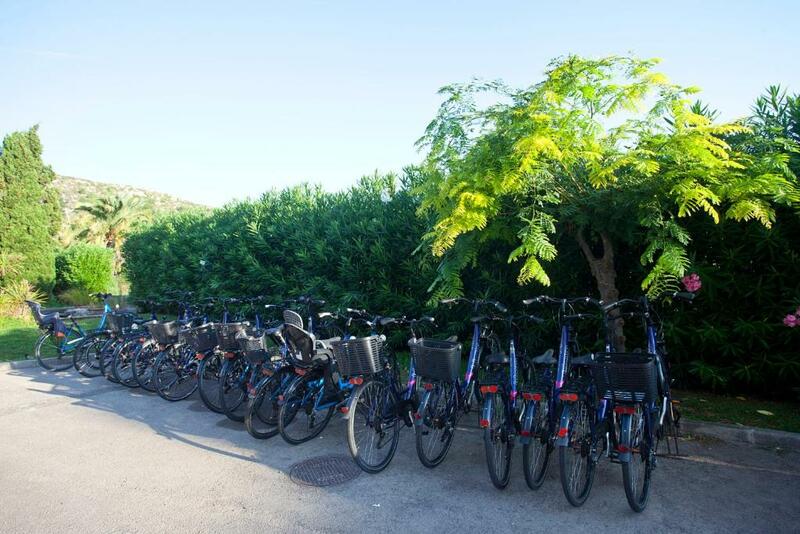 Enjoy a long bike ride with a bike rented at the complex, or make the most of free parking to explore the rest of Mallorca. At meal times, use ingredients from the Bahía Pollensa’s on site grocery store to cook your favorite meals in your apartment’s kitchen. 뀐 Located in the top-rated area in Port de Pollensa, this property has an excellent location score of 8.2! 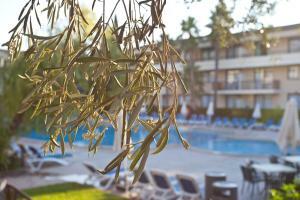 When would you like to stay at Aparthotel Bahia Pollensa? Featuring a private balcony or terrace, this apartment is composed of a twin bedroom, a living room with 2 sofa beds, a kitchen, and a bathroom with bath and shower. It includes air conditioning and a flat-screen satellite TV. Featuring a private balcony or terrace, this studio apartment is composed an open-plan living room with 2 single beds and 1 sofa bed, a kitchenette, and a bathroom with bath and shower. This apartment has a balcony, dining area and oven. This studio features a balcony, microwave and satellite TV. Gestionamos el Hotel desde el año de su apertura en 1991. Tratamos de darle un aire familiar, con mucha relación entre el personal y los clientes, la mayoría de ellos repetidores. Nuestro principales mercados son el Británico y el Escandinavo. Ubicación perfecta, a pocos metros de la playa y a 1,5 Km. del centro del Puerto de Pollensa. House Rules Aparthotel Bahia Pollensa takes special requests – add in the next step! Aparthotel Bahia Pollensa accepts these cards and reserves the right to temporarily hold an amount prior to arrival. It'd be nice if there were some salt, dishwasher and sponge in the kitchenette. Just a little bit for the first day. The cleaner forgot to mop the floor before our arrival, and my wife was not too happy about that:). The food on offer seemed over cooked and not appealing to the eyes. The air-conditioning in the room didn't function properly and was REALLY LOUD!! The room had a slight scent of dampness in the air. Overlooking the "garden" on the ground floor was the back entrance that had a car parked in the driveway with a tree obscuring the view. Not conducive to sitting outside staring at a tree!! The in room cooking hobs were next to useless they took that long to get hot. I didn’t get the room I asked for on the booking form so what is the point of asking it on the form. My room was above the reception and you are disturbed by people late and early booking in and out, taking very loud with young children at the top of their voices. It’s also not very nice sitting on your balcony with cigarette smoke coming from each side of yours or in the poor area with someone next to you on a sun bed. Location, size and good shower room. We would preferred a double bed instead of two separate beds. Beds a bit hard. Lacked atmosphere. Very clean and airy, spacious. Staff very good. Stay was marred by continuous music from after breakfast till early evening. 2 competing sound systems - one from hotel end and another at far end of pool. If I wanted peace and quiet in the apartment (as I generally do on holiday) I had to keep the windows closed. Not everyone wants constant noise! The age range was a complete mix so I'm not sure who the inane music was aimed at. The Brexit brothers' nightly poolside pontifications (not the fault of the hotel but had hoped to escape that tragic chat). Kids need wifi everywhere these days - a reduced weekly room rate would be better than the day rate which was available for rooms. Wifi is free in reception and the bar only. Walking through reception in the evenings was like visiting a youth club where teens gather to NOT chat amongst themselves. The teen holiday romance is dead, it seems.